Not the smallest of lions but not the biggest, as a cub he's a little bundle of fluff with white covering half of all of his legs except for his left front leg which is a slightly darker color than his fur. A white circle also circling his right eye, the main color of his pelt being a light blonde color. 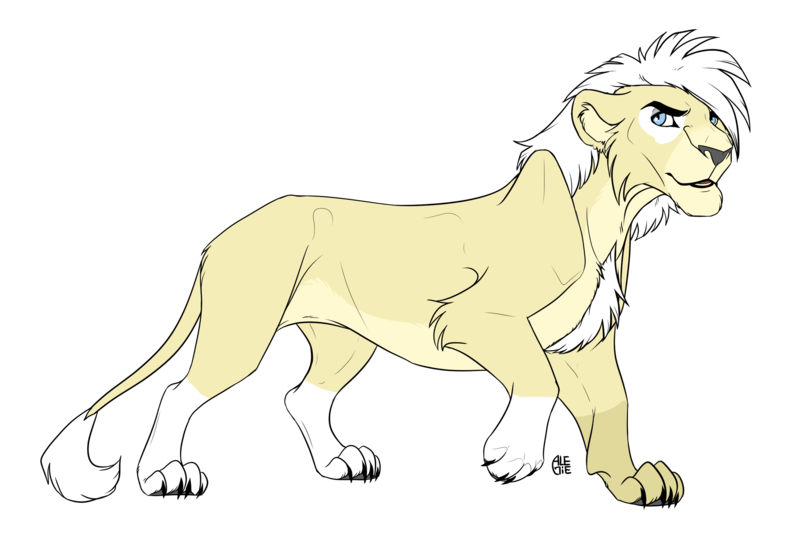 As an adult he grows less of a puffball, but grows into a white mane and white tail tuft. 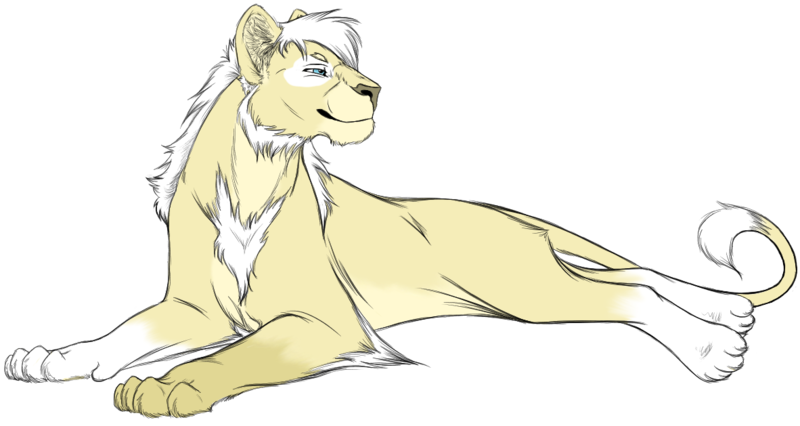 Fully grown into his body and now towering at the maximum size his body will grow into, although his pelt remains the same in terms of markings. What a sweet child, with his heart so sweet like honey. Soft like a pillow. Koemi is the lighter hearted one in this world, he loves every soul equally. Thinking that they all deserve the same amount of affection, no matter what they have done. He is molded easily however, his kindness may change depending on the actions that other beings have on the soft cub. He loves his family, no matter biological or not. Playing is a happy thing for him, he tries to play with his family often. Feeling as it strengthens a bond between them, jealously isn't uncommon in the boy however. Sometimes he feels as if somebody has cheated him, even if they did nothing but live their lives normally. Sometimes it's just that way, but he normally doesn't stay that way for long. Email: Send Koemi an email. Private Message: Send Koemi a private message. [ CHARACTER ] Personality: What a sweet child, with his heart so sweet like honey. Soft like a pillow. Koemi is the lighter hearted one in this world, he loves every soul equally. Thinking that they all deserve the same amount of affection, no matter what they have done. He is molded easily however, his kindness may change depending on the actions that other beings have on the soft cub. He loves his family, no matter biological or not. Playing is a happy thing for him, he tries to play with his family often. Feeling as it strengthens a bond between them, jealously isn't uncommon in the boy however. Sometimes he feels as if somebody has cheated him, even if they did nothing but live their lives normally. Sometimes it's just that way, but he normally doesn't stay that way for long.